Are you looking to become the next generation professional hairdresser? Do you know someone that is? Q Hair and Beauty is renowned as being one of the best salons in the county. Offering education and career opportunities that rival the national chains, an independent business established for over 40 years. Being a professional hairdresser at Q is more than a career, it’s a lifestyle. We guide and nurture every member of the team to achieve their NVQ in Hairdressing via our in house training school as well as guidance on how to be a professional, thoughtful and most importantly happy stylist. We offer to every single member of the team to join the Fellowship of British Hairdressing’s Clubstar programme, whereby once a month we provide a trip to London to view demonstrations and workshops on the latest trends and techniques available brought to you by the top hairdressing companies in the country. Once your career progresses you can apply to join the top level education on offer including 1 year training on colour within the Colour Project, finally moving onto Project X and the F.A.M.E Team. This is where the next British Hairdressers of the Year are often seen first! 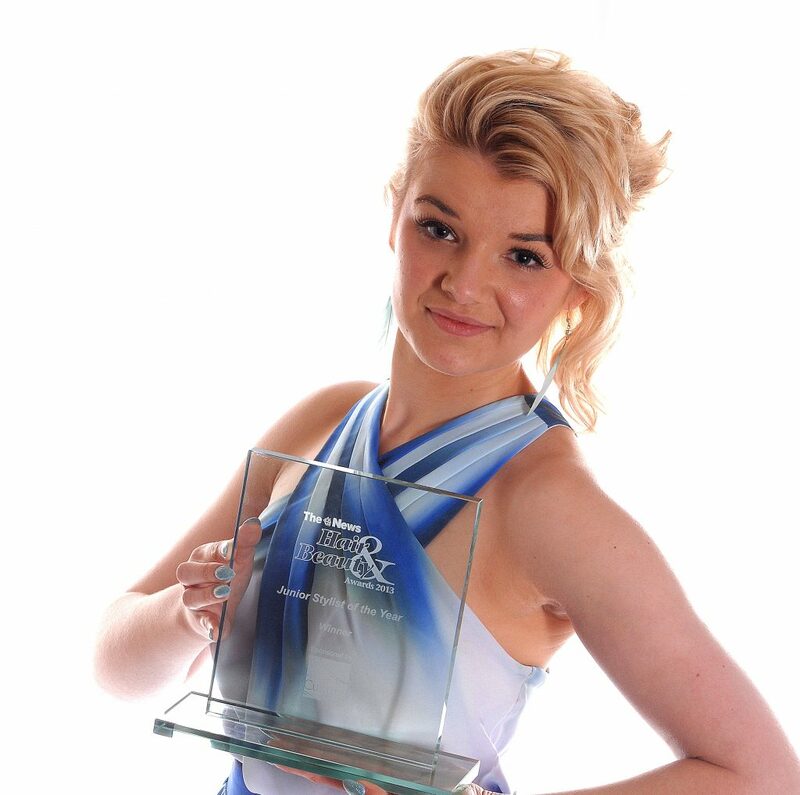 Jasmine Connor (20) has already compiled a plethora of awards ranging from Junior Stylist of the Year (see image below) to being a finalist in National Awards for British Hairdressing Business as a Junior Stylist. This entry was posted on Friday, March 28th, 2014 at 2:04 pm by Kain and is filed under Promotions.